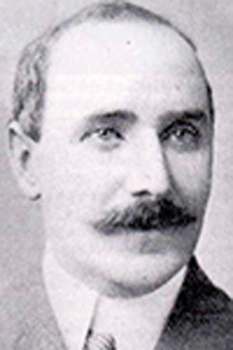 Billy Douglas played for Cardiff from 1882 until 1888. He was captain of the first XV in the 1885-6 season and also gained four Welsh caps, winning his first cap against England in the 1886 Home Nations Championships. Four years after he played his last international, Douglas began refereeing and his first international match as a referee was Ireland against England. William Douglas passed away September 1945 aged 82.